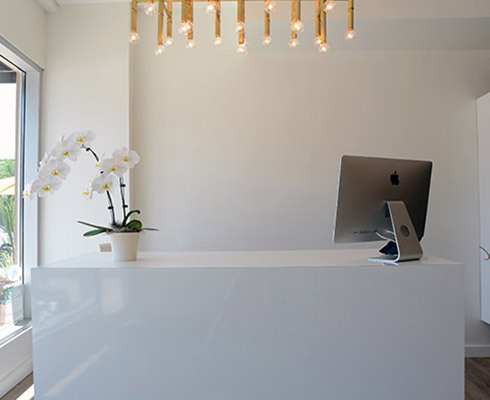 Fiore + Greco Design Inc.
We are an interior design firm that excels in both residential and commercial projects. 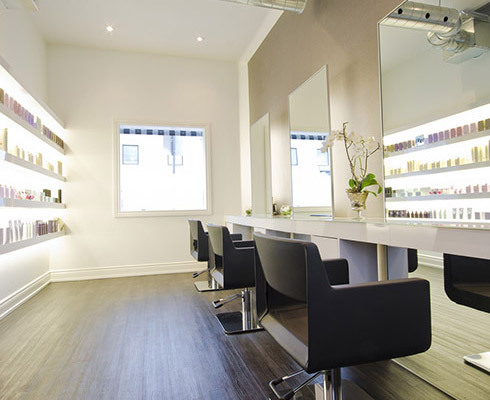 Our reputation for excellence particularly in the salon + spa industry is well known within the Greater Toronto Area. 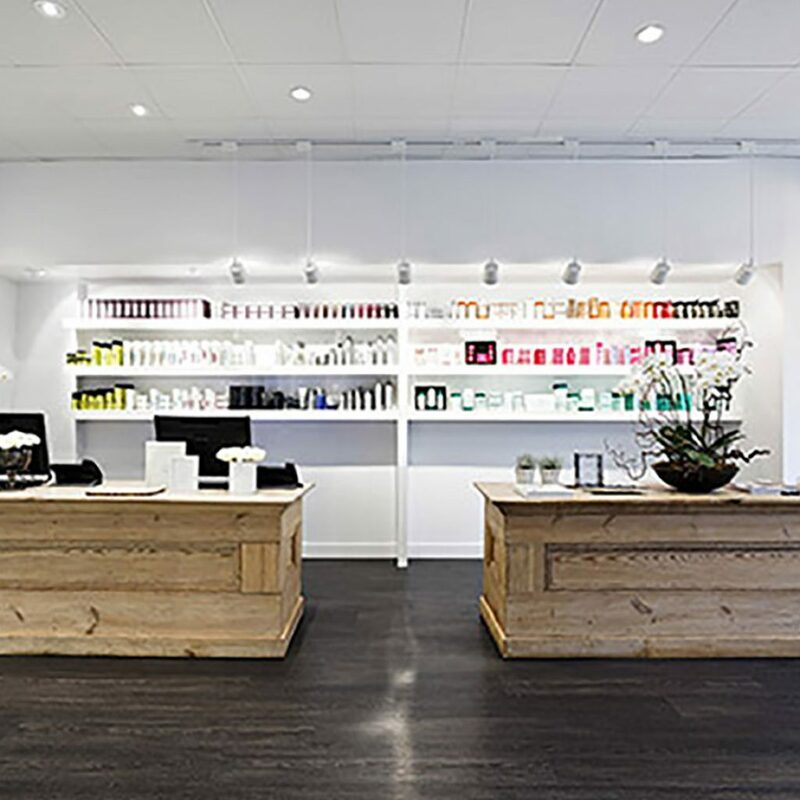 We work on projects of all types and sizes and our work in the beauty industry has given us a reputation for being able to take the principles of interior design and ergonomics and apply them to the special requirements of the professional salon atmosphere. We can design and develop your project from start to finish or assist in any stage of a development or design phase. Our stunning designs have been winning awards and accolades for over 12 years and running. Learn more about us by browsing our portfolio, project process and reading about our services. 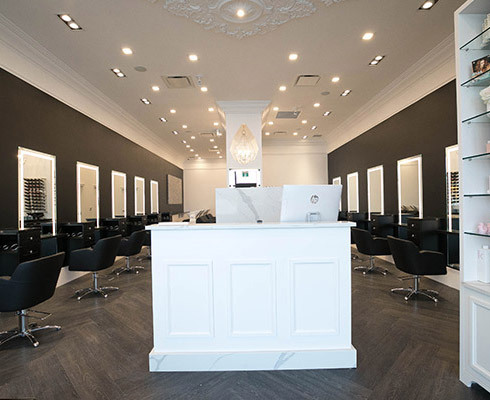 After hundreds of completed salon + spa designs, our team of experienced designers have earned the appreciation of our clients for our unique blend of exceptional design, originality, and practicality. 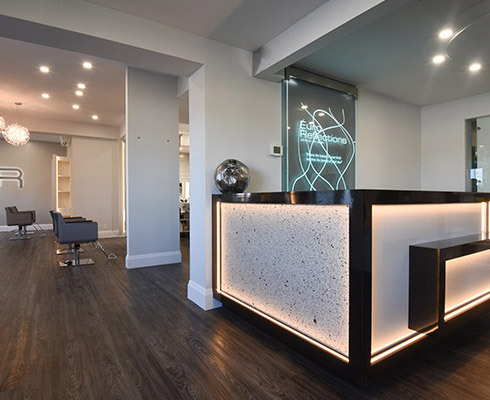 In a highly competitive salon + spa industry, a well-designed space with carefully chosen furnishings and professional equipment gives you an edge in the marketplace, attracting customers and helping you build a more profitable business. We understand how to provide you with what you both need and want in a package that will wow your customers. Browse our portfolio to see some of our work or reach out to us to find out how we can turn your business dreams into a breath-taking space to live or work in. Our ability to bring our clients’ vision to life is next to none. We can start at all stages of the design-build process. Tell us about your project, and we’ll make it a reality! Balance space design in a revenue generating way. How many stylists do you have or plan to hire? What brand of color do you use? Which products do you plan to retail? Undecided on your new location? We can help determine your business space needs. 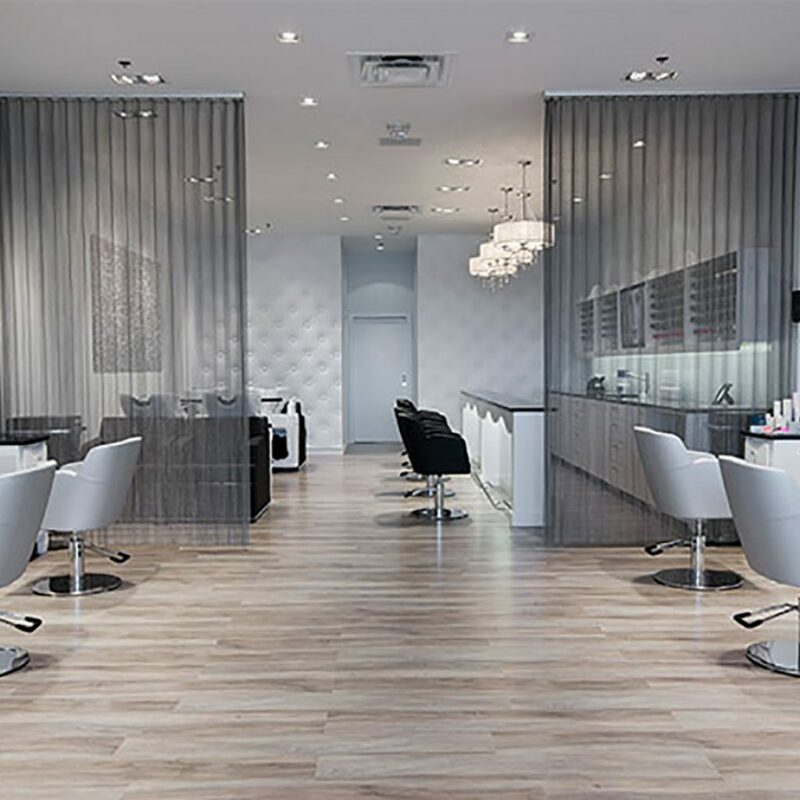 Designing a salon or spa requires specialized knowledge of traffic patterns, styling chair spacing, building mechanical features, specific plumbing and electrical requirements, and materials. 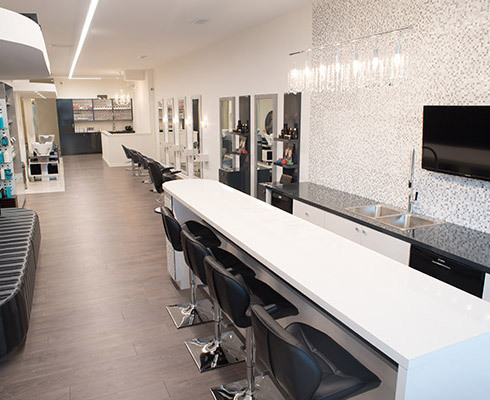 Salons need finishes that can stand up to heat, light, and chemical exposure. Lighting is an actual tool, not just a way to create ambiance. 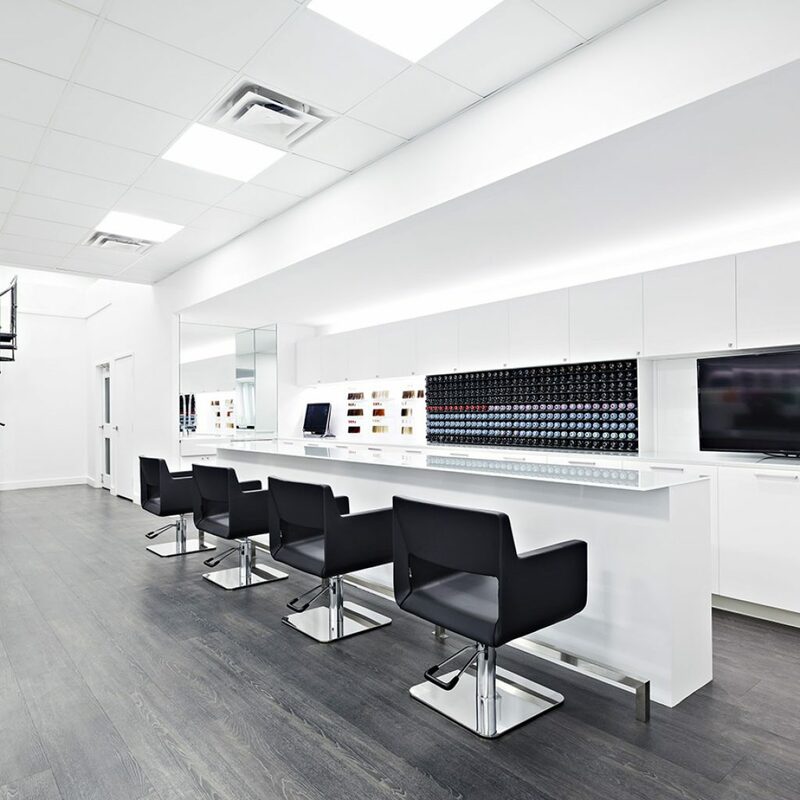 The precise location of your electrical outlets in relation to your styling chair can have a massive impact on your client and staff experience. 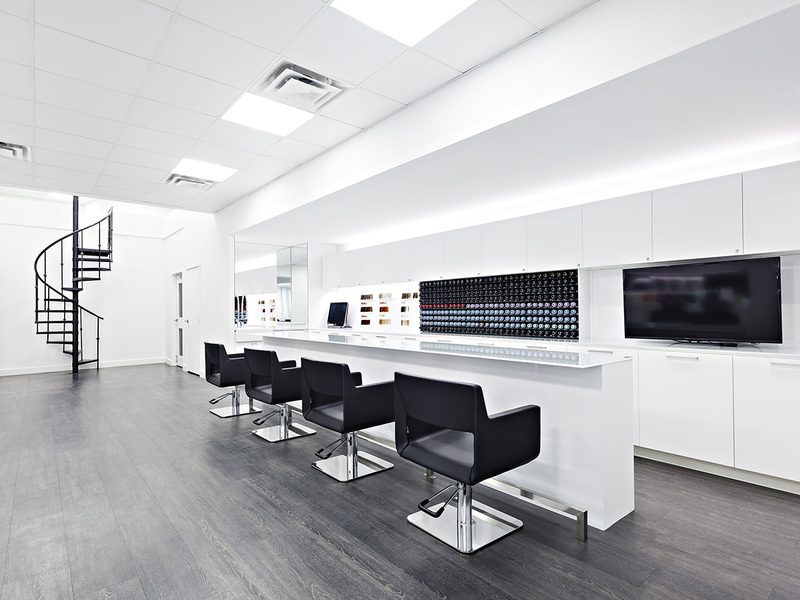 Things that seem simple just aren’t when it comes to a salon environment. And trust us, they’re expensive to change. That’s why you should work with a design firm that has the knowledge and expertise to deliver your project on time and on budget. 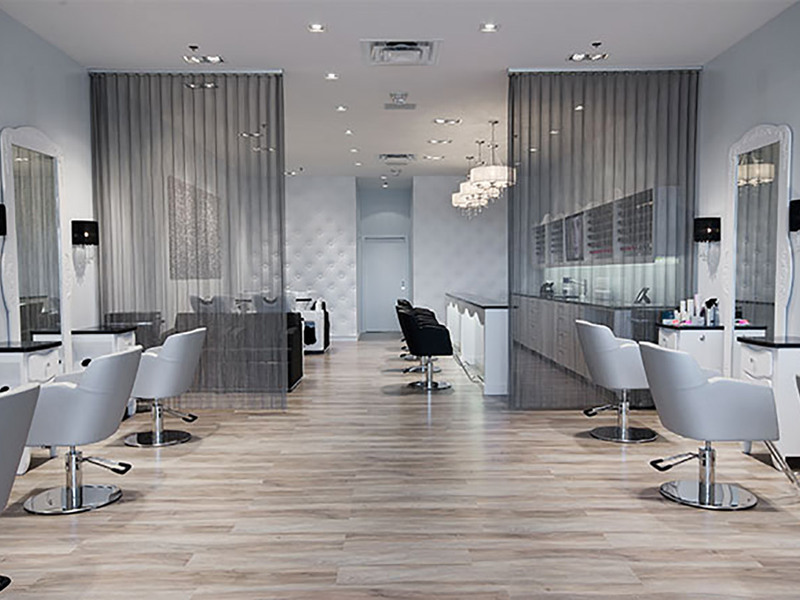 We have designed and built hundreds of salons. 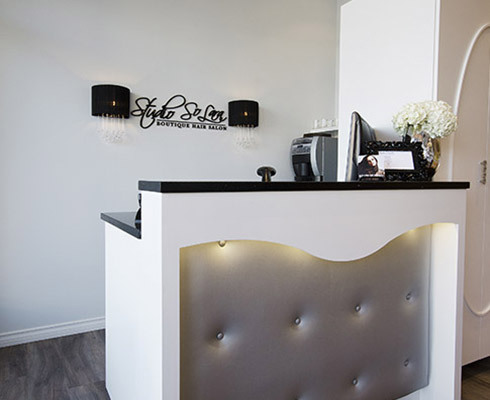 We have consulted with thousands of stylists about the things that are important to them. This is why, we can fill the role of a consultant to assist you with the tedium of choosing the best space for your business if you are having a hard time making a choice. Let our experts eliminate the guesswork and present you with a solution. As fellow entrepreneurs, we get that it’s hard to let-go and trust the advice of others. We know you work hard and have invested a lot in your business. We respect your investment in your business and would honored to work with you in bringing your vision to life!